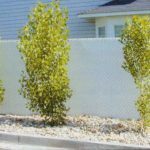 If you want to add value and beauty to your residence or business contact Boundary Fence, we have just the right solution for you. We know the best materials for fencing and are experts in our field. Established in 1973, Boundary Fence & Supply Company is still owned and operated by Darrell and Kathi Unruh. With over 41 years of experience in Denver and the surrounding areas, our customers can depend on quality. We have set the standard in residential, commercial, and industrial fencing. Because we are family owned and operated, we take pride in the quality of our products and in the service we provide our customers. Our company is licensed and insured. In addition, all city permits are obtained, when necessary, by our company. Boundary Fence also takes care of all public utility locates. This saves you precious time and you can focus on what’s important to you and trust us to do the work right. Your business is important to us! Let our expert, professional sales staff provide you with a free fence estimate. Please feel free to contact us, so we can assist you with all your fencing needs!